In other words, we must look outward if we want to drive meaningful innovation. Nutritionists should communicate with food scientists to create healthy foods that people want to eat. Food companies should communicate with academic scientists to find new applications for their technologies that can improve health. Governments should communicate with manufacturers to ensure food fortification legislation is realistic to implement. Rather than continuing to silo ourselves by looking inward, we must look outward to widen our perspective and learn. Partnership between nutrition, food science, and technology is essential to deliver innovative solutions. Here are some highlights from the conference of collaboration in action. Keynote speaker Professor Mike Gibney’s callout that processed foods are essential to deliver on the goals of global food access, safety, and nutrition. Despite the negativity associated with the word “processed” among consumers, media, and even government agencies, processing techniques such as food fortification are essential to improving public health (folic acid fortification to reduce neural tube defects is a prime example). Nutritional processing of foods is supported by strong science prior to being enacted in policy, and it is up to the scientific community to properly communicate the benefits of these technologies in a way that resonates with consumers. Professor Ian Givens discussed the importance of considering the role of entire foods in health rather than specific nutrients. For example, saturated fat has been linked to development of heart disease. Despite dairy’s high saturated fat content, Professor Givens noted that those who consume the most dairy have a lower risk of stroke or diabetes than those who consume the least amount of dairy. In the future, it may be important to think beyond individual nutrients when determining how food can be modified to improve health. Professor Christine Loscher, a member of the Kerry Health and Nutrition Institute Scientific Advisory Council, showed evidence that the balance of cells that make up our immune system differ between early childhood and late adulthood. This means that foods aiming to improve immune health may need to be contain different functional ingredients depending on which age group they are targeted to. Professor Phil Jakeman showed that changing the amount and timing of our protein intake can reduce the loss in muscle mass associated with aging (also known as Sarcopenia – see our white paper on Nutritional Strategies to Promote Muscle and Joint Health). High protein foods designed for morning or midday could help bring the benefits of this science to consumers. An entire session was devoted to identifying alternative uses for byproducts from processing of food. Identifying polyphenols in pomace from the production of olive oil or from brewer’s spent grain is one way scientists can try to reduce food waste while also identifying novel ingredients to incorporate into food. Scientists from NASA discussed the challenges of providing food that can last the 5 year duration of the Mars mission. Challenges include nutrient degradation, food spoilage, and the weight of the food cargo, among many others. Technology is essential in ensuring the astronauts have adequate, nutritious food for the mission. 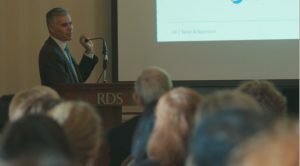 Ryan Ponquett, a taste specialist and advisor of the Kerry Health and Nutrition Institute, outlined the challenges consumers face when making food selections: do we choose the foods that satisfy our primal needs (sugar, fat, salt) or the foods which satisfy our higher reasoning (nutritious)? The challenge of food companies to deliver great taste without the negatives typically associated with it is a strong driver of food science and technology. The innovations discussed at IUFoST 2016 were truly outstanding. On a global scale, sustainable food systems which improve food security are critical to meet the needs of the global population. Communication and collaboration between governments, academic scientists, and the food industry allows challenges to be solved that would otherwise be impossible. This gathering of scientists was a perfect demonstration of the importance of looking outward to drive innovation and meet the world’s needs. Video highlights: Missed the conference but want to see more? Check out the videos below. 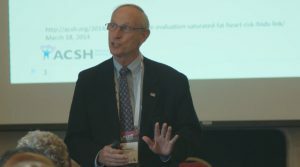 Nathan Pratt, PhD, RD shares an inside view of the exciting themes discussed at the conference in three video wrap ups. Kerry’s sponsored sessions at IUFoST 2016 provided a forum where the food industry and academic scientists to came together to share and learn about innovations happening in food science and nutrition. 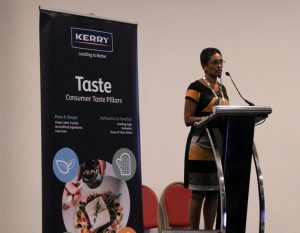 Through the Kerry Health and Nutrition Institute, we continue to engage with thought leaders to identify solutions that meet the growing global demand for nutritious food that tastes good. Albert McQuaid has a PhD in biochemistry from Trinity College and the French National Institute for Agricultural Research. He has worked at Kerry since 1993. Albert is currently the Chief Innovation Officer for Kerry’s global Taste and Nutrition business and Chairperson of the Kerry Health and Nutrition Institute Governance Committee.